The Mauritius Software Craftsmanship Community proudly presents you the Global Windows Azure Bootcamp 2014 in Mauritius. We are very happy and excited about our participation in this global event and would like to draw your attention to the official invitation letter below. Please sign up and RSVP on the official website of the MSCC. Participation is for free! With over 130 confirmed locations around the globe, the Global Windows Azure Bootcamp is going to be a truly memorable event - and now here's your chance to take part! In April of 2013 we held the first Global Windows Azure Bootcamp at more than 90 locations around the globe! This year we want to again offer up a one day deep dive class to help thousands of people get up to speed on discovering Cloud Computing Applications for Windows Azure. In addition to this great learning opportunity the hands on labs will feature pooling a huge global compute farm to perform diabetes research! In Mauritius, the event will be organised by Microsoft Indian Ocean Islands & French Pacific in partnership with The Mauritius Software Craftsmanship Community (MSCC) and sponsored by Microsoft, Ceridian and Emtel. Important: Please do the installation upfront as there will be very little time to troubleshoot installations during the day. 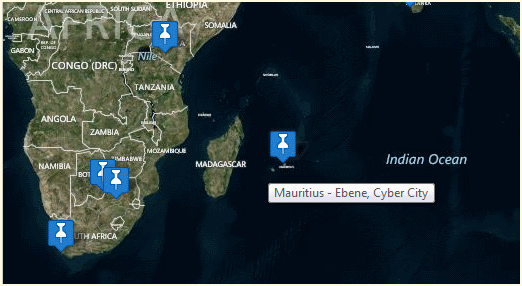 Mauritius participated and contributed to the Global Windows Azure Bootcamp 2014 (GWAB). Again! And this time stronger than ever, and together with 137 other locations in 56 countries world-wide. The following article will guide through the steps on how to enable Apache2 httpd to listen and respond to incoming IPv6 requests.